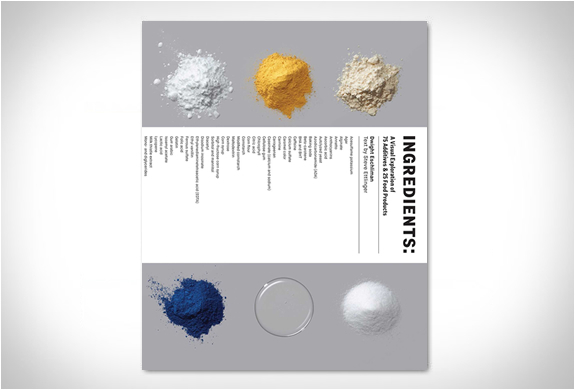 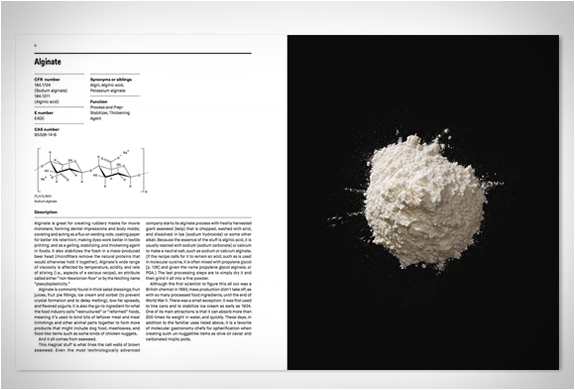 Ingredients: A Visual Exploration of 75 Additives & 25 Food Products, is a new and astonishing book that reveals what really goes into your favorite foods. 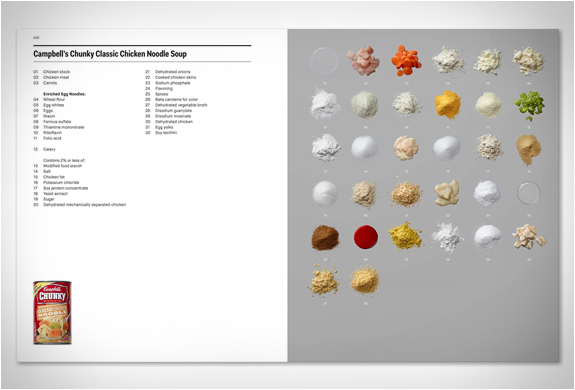 The fascinating visual exploration shows us what is really inside our food, breaking down the ingredients of 25 foods and laying them out next to each other in series of striking pictures. 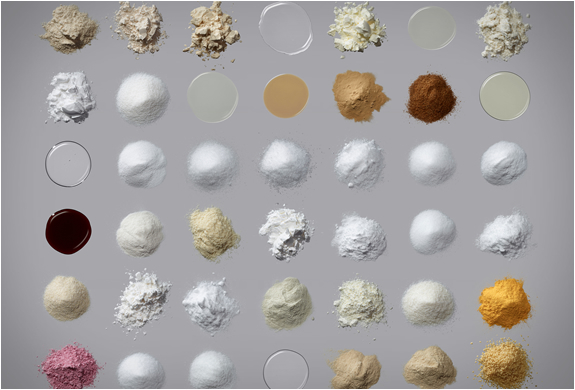 We’ve all read the ingredients label on the back, but what do all those mysterious-sounding chemicals and additives actually do? 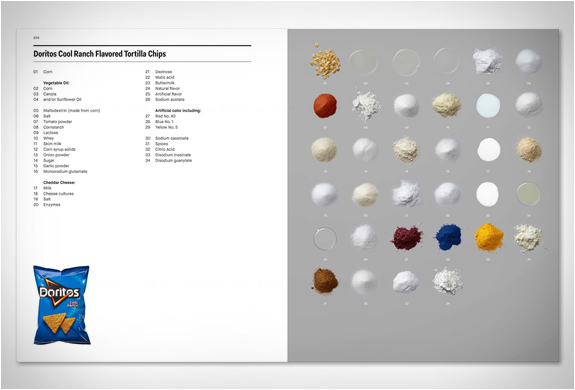 The results can be quite surprising. 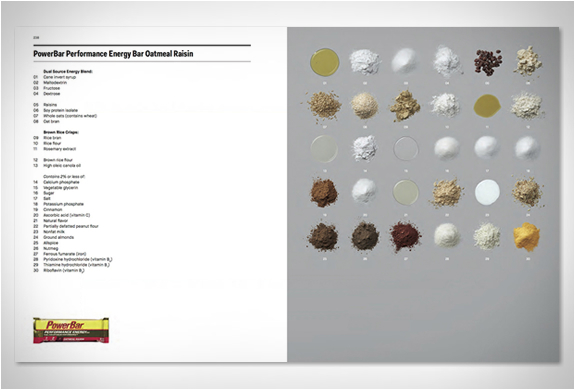 Broken down items include Dr Pepper, McDonald´s McNuggets, Reeses Ice Cream Bars, Red Bull, and PowerBar energy bars.